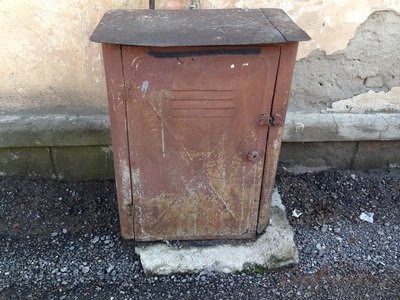 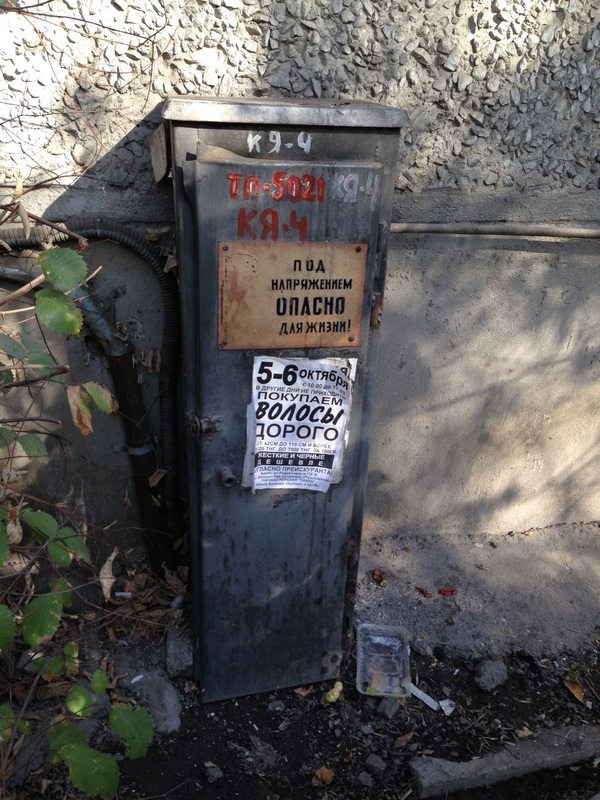 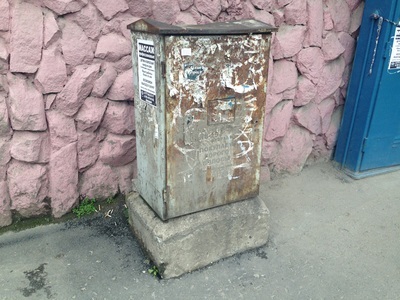 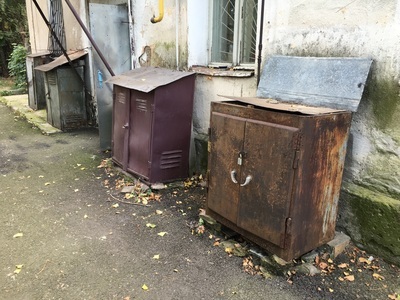 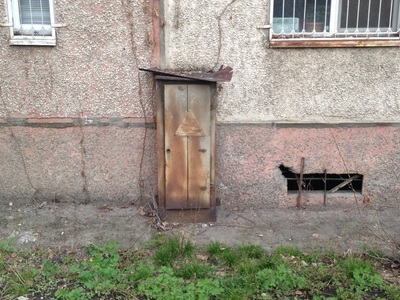 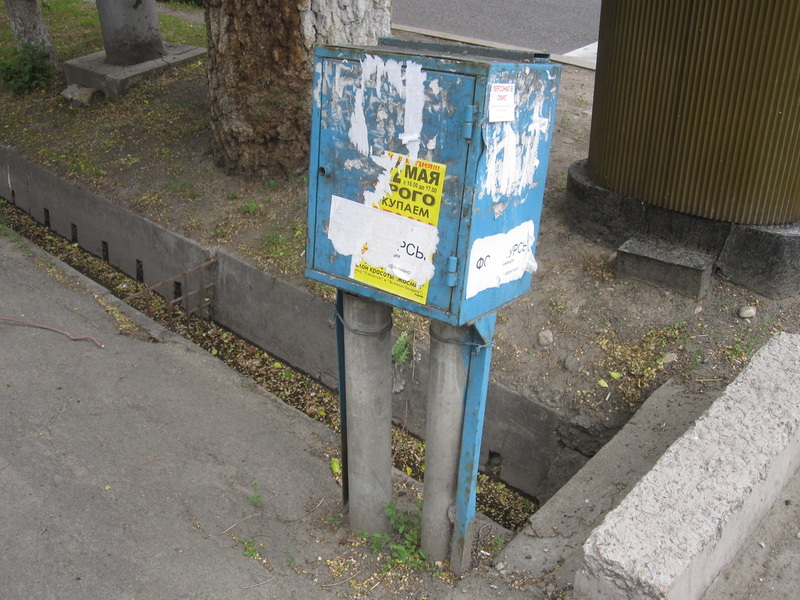 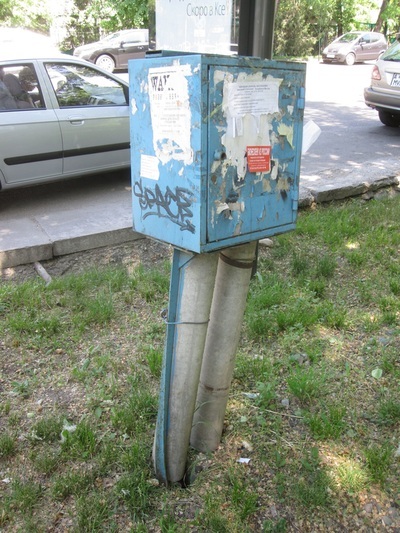 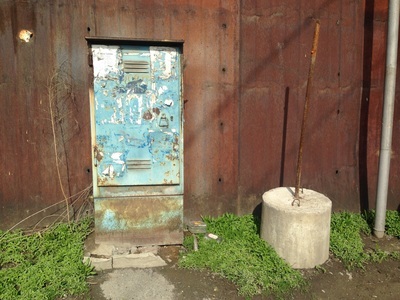 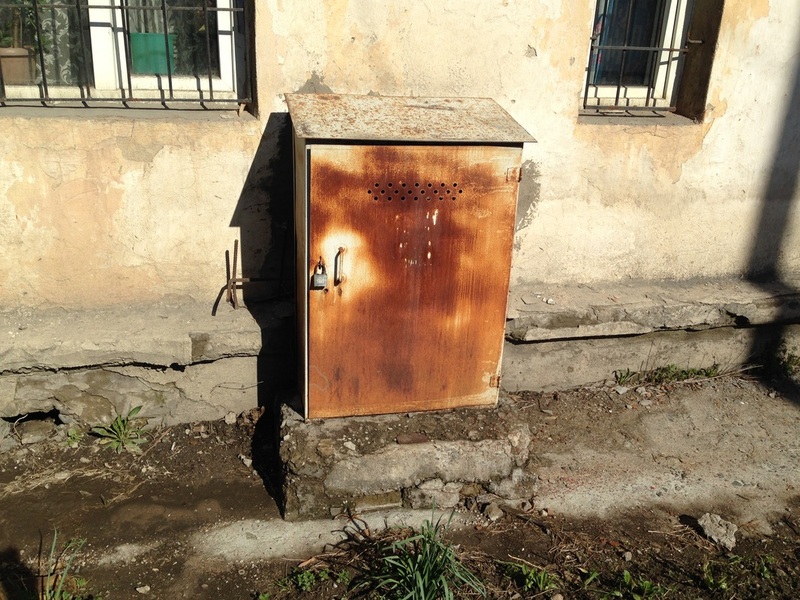 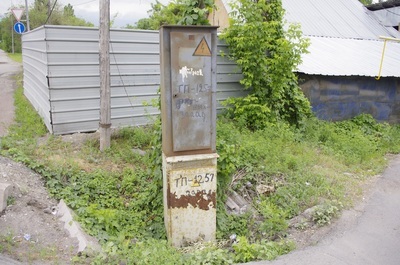 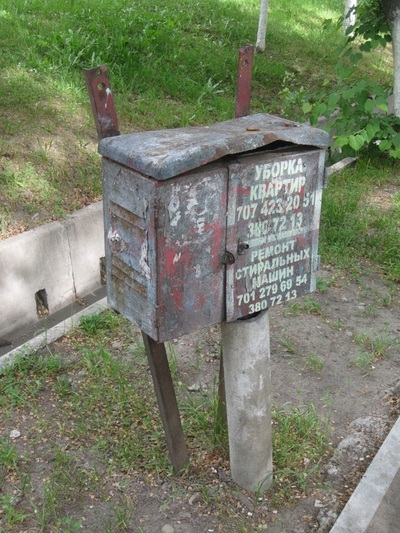 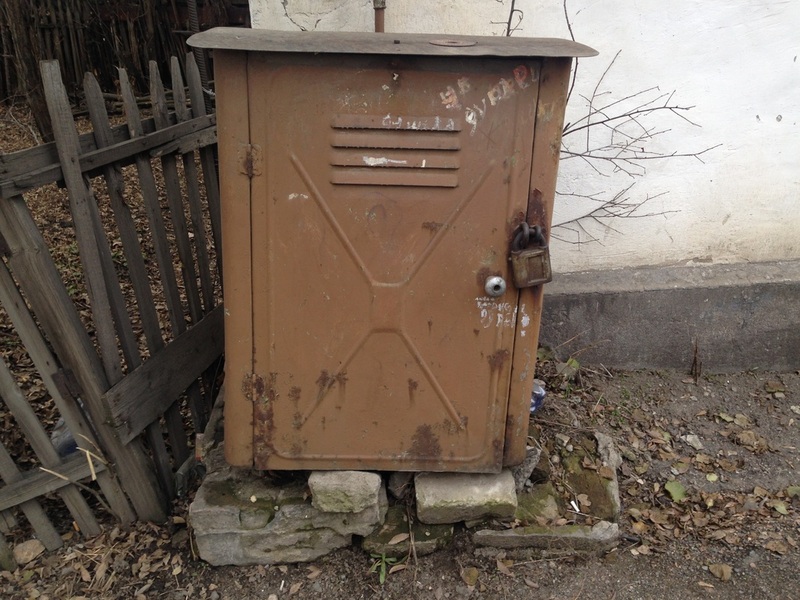 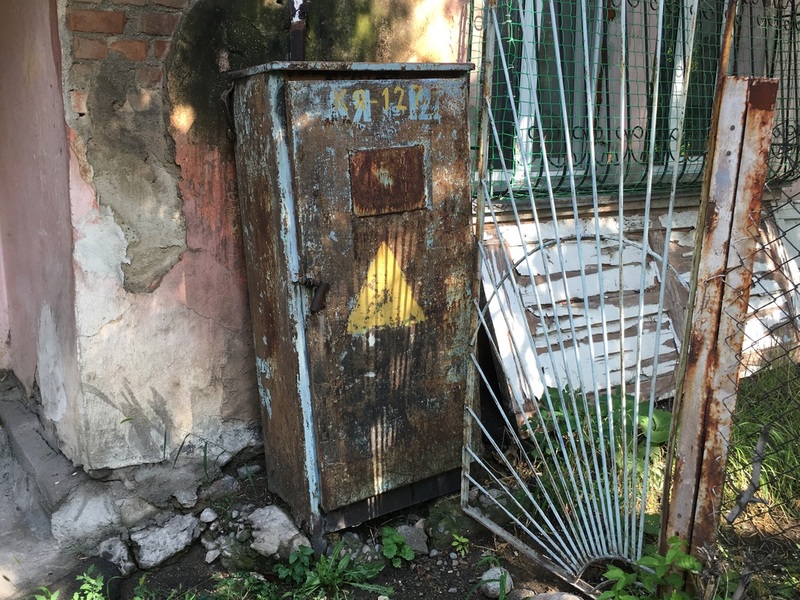 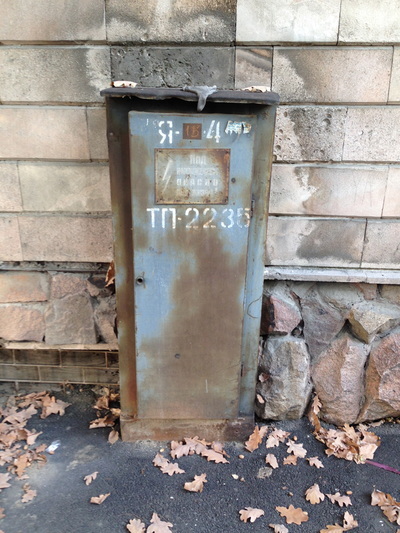 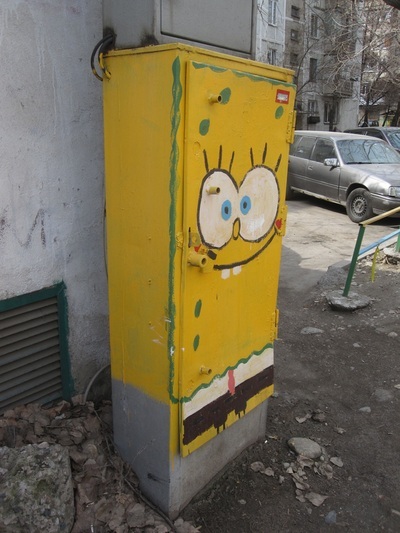 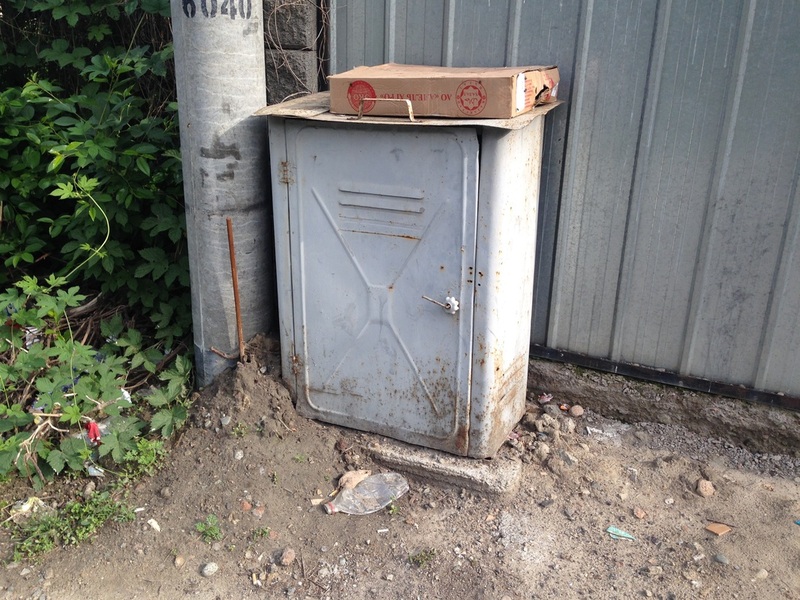 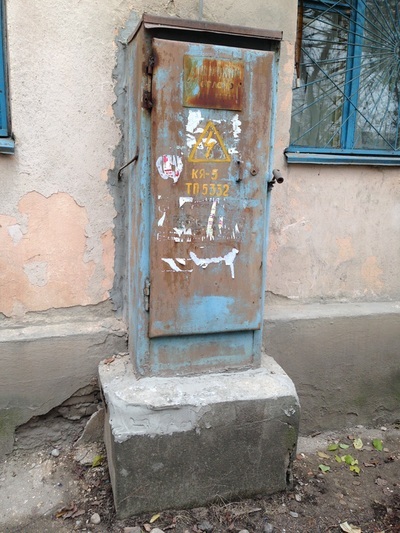 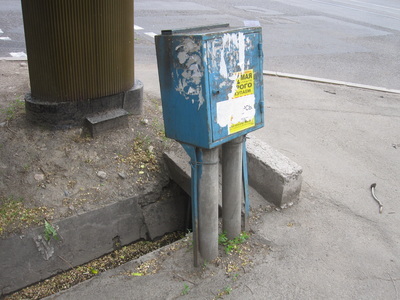 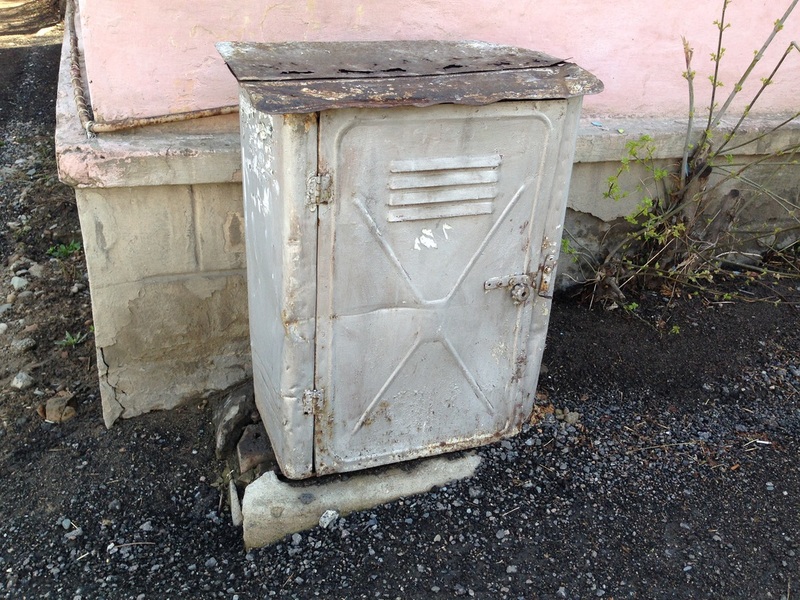 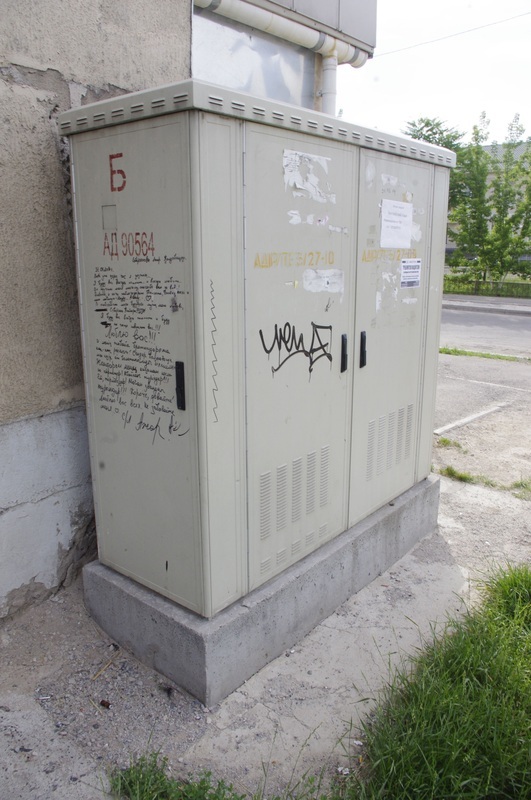 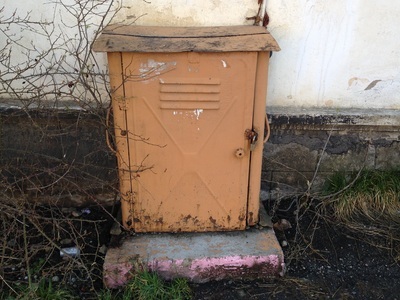 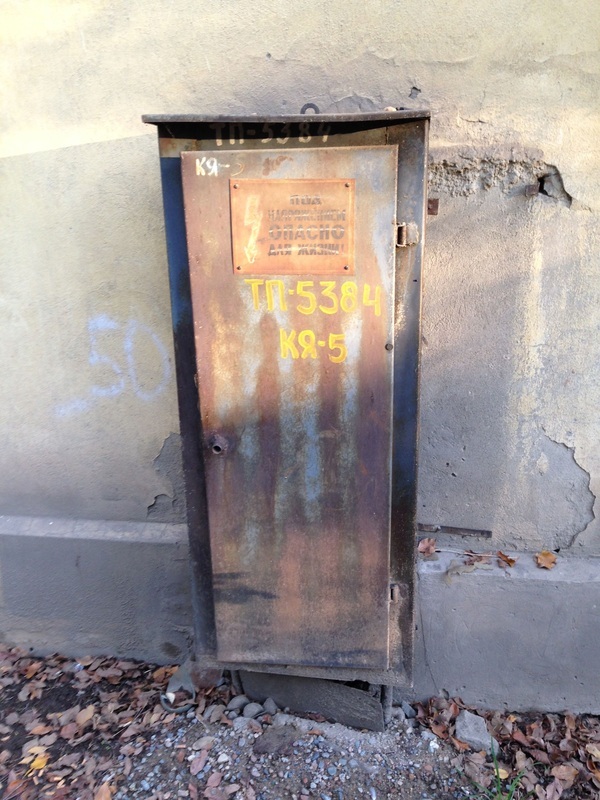 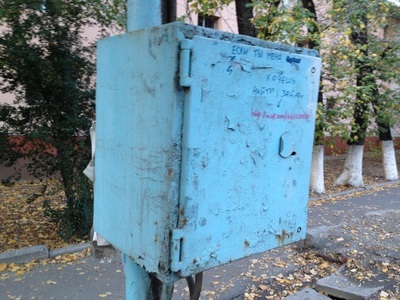 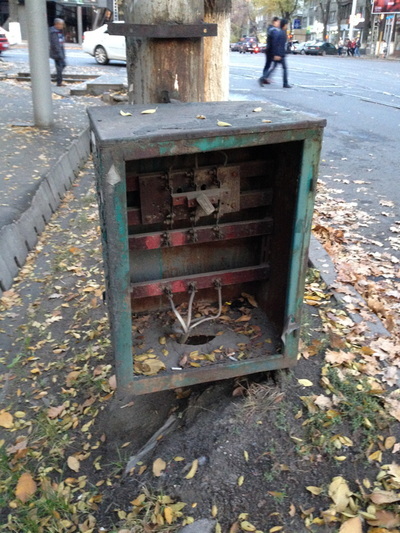 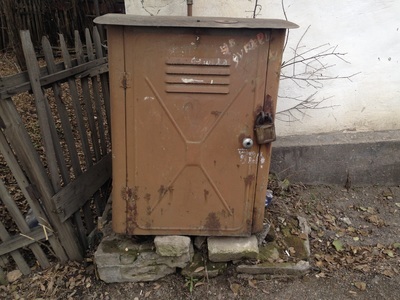 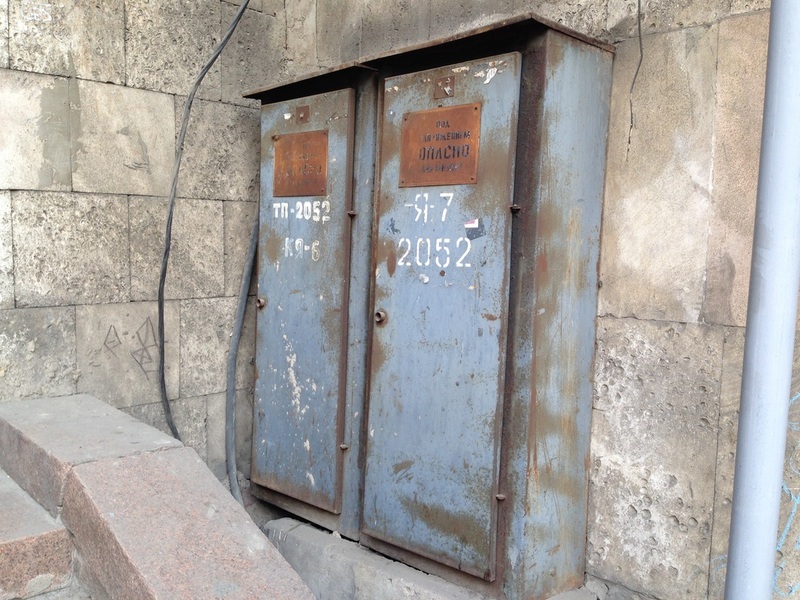 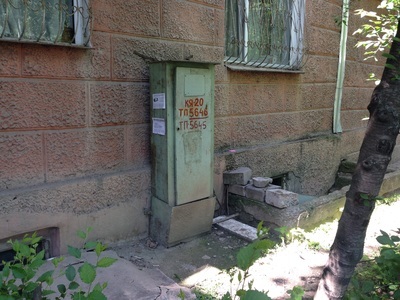 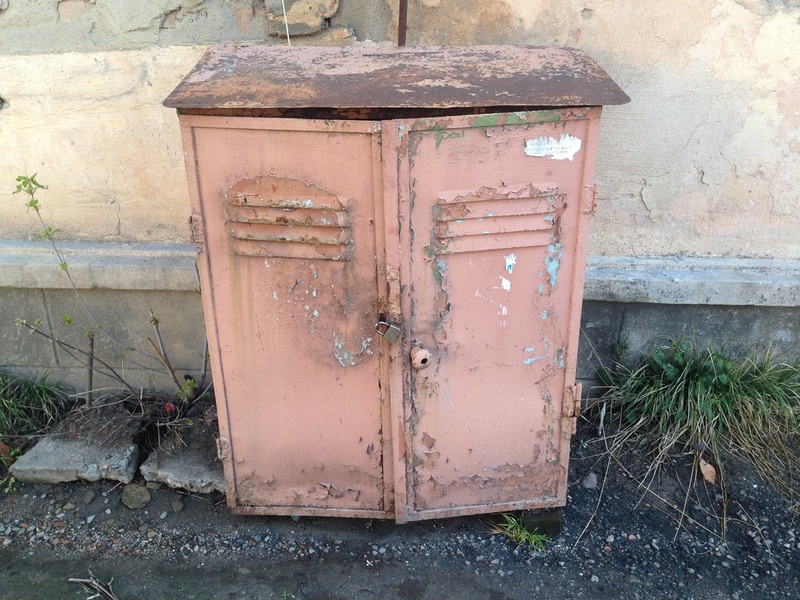 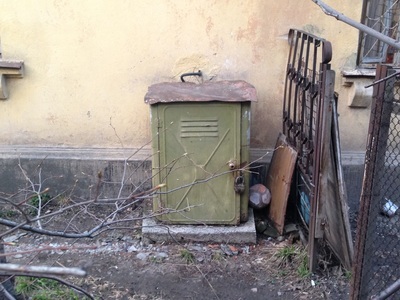 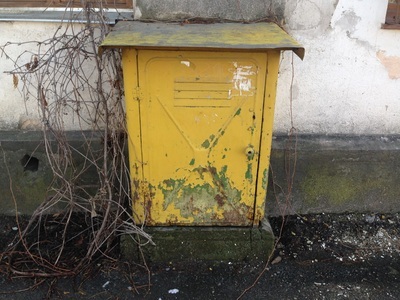 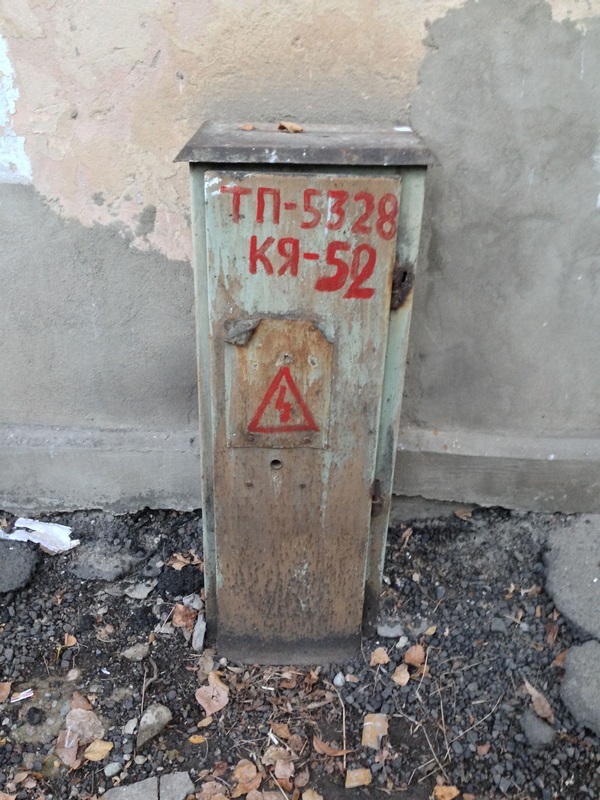 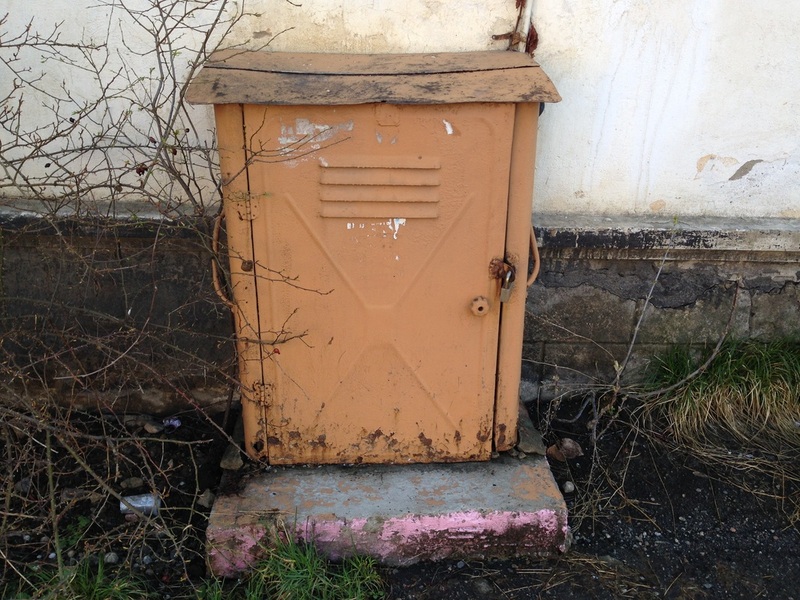 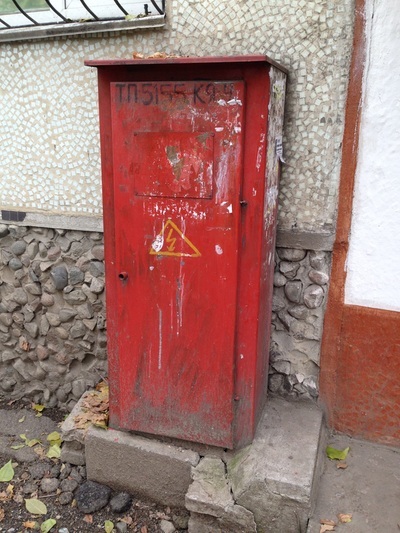 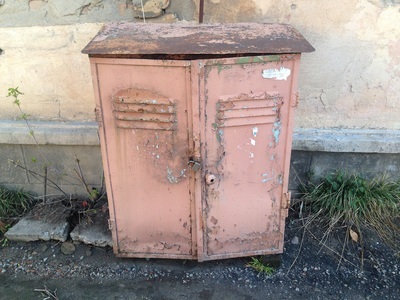 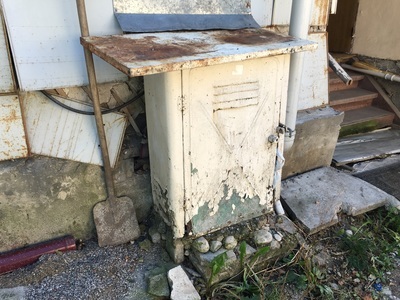 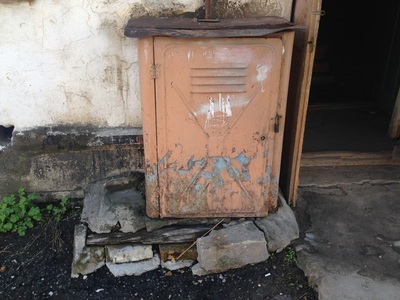 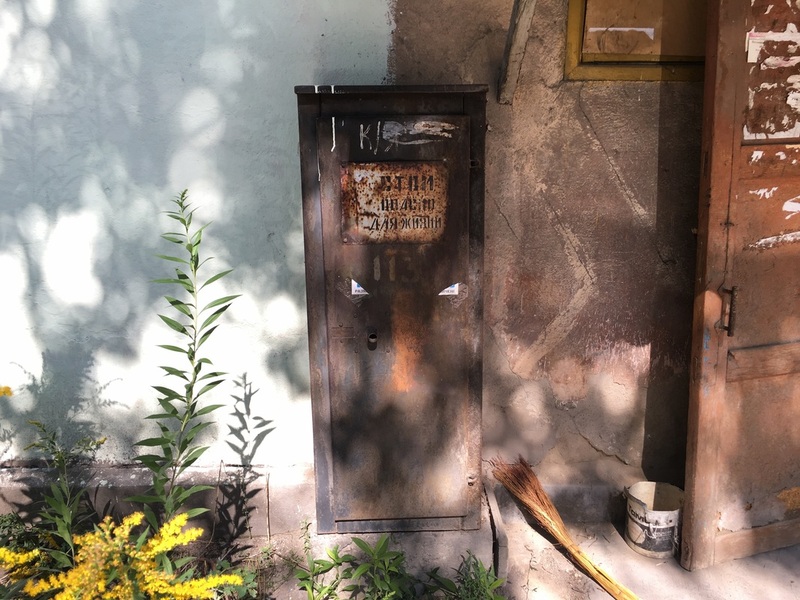 Has my fetish for Soviet artifacts gone too far when rusty utility boxes get my heart pumping? 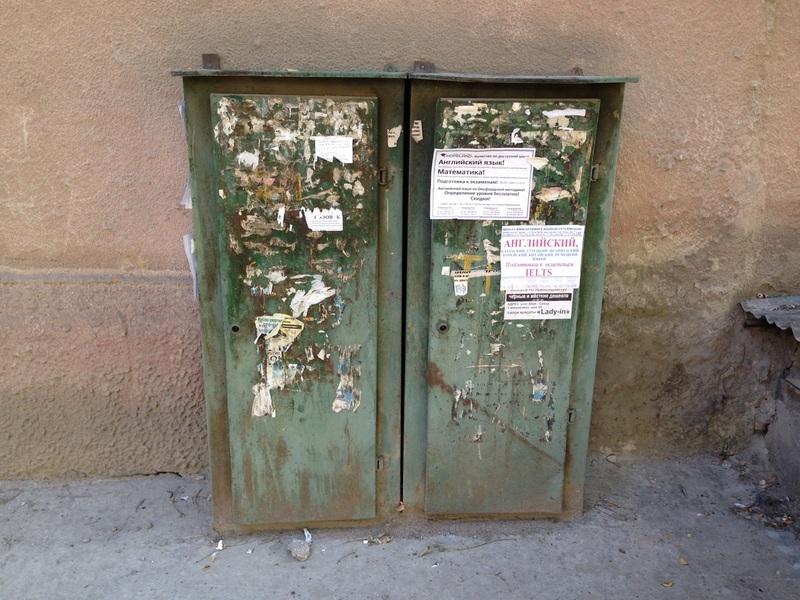 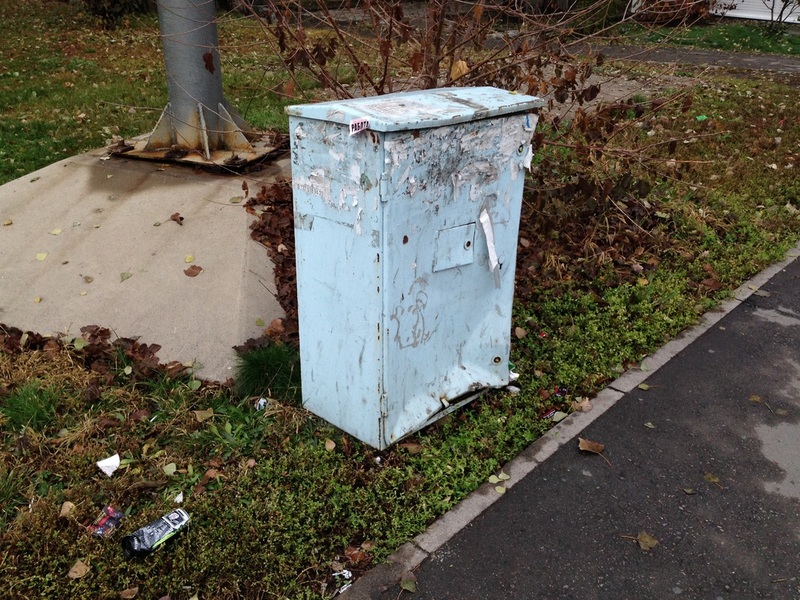 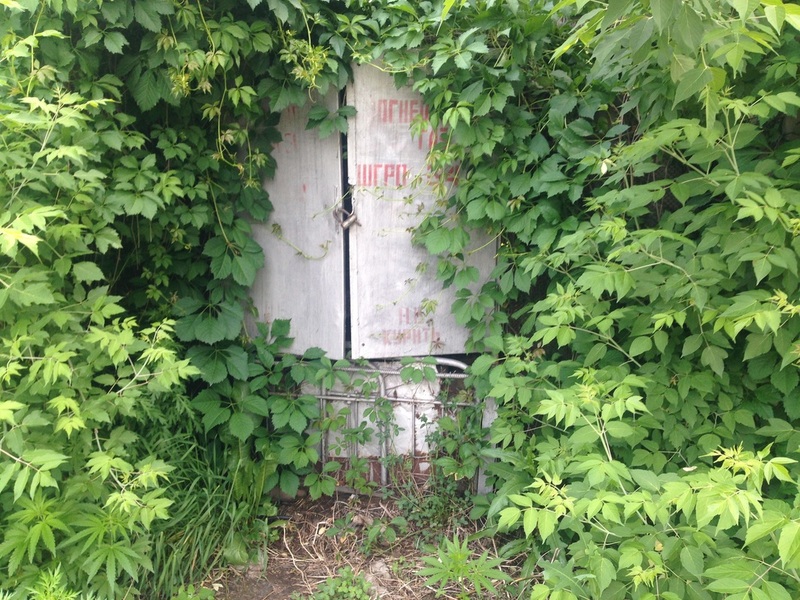 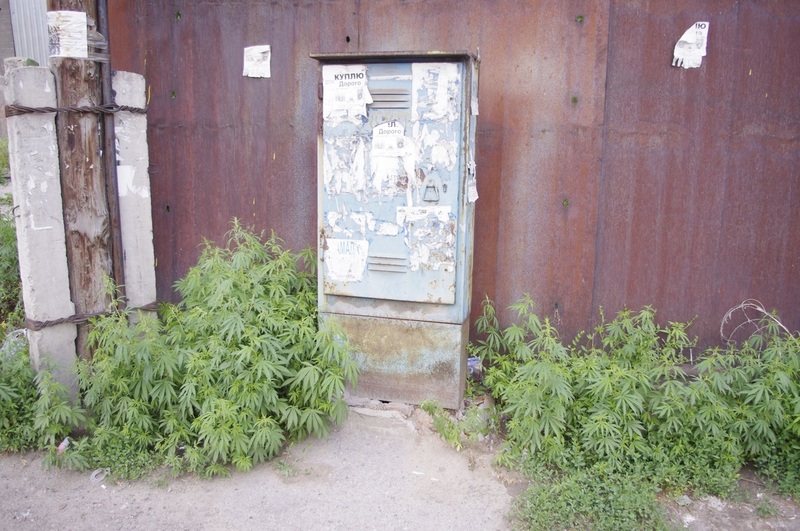 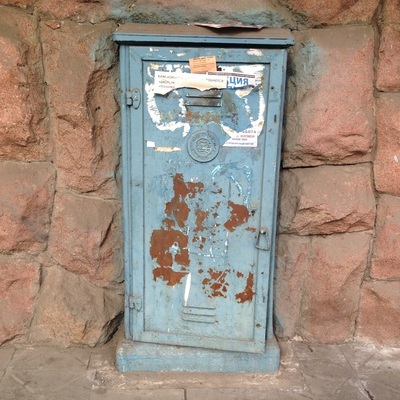 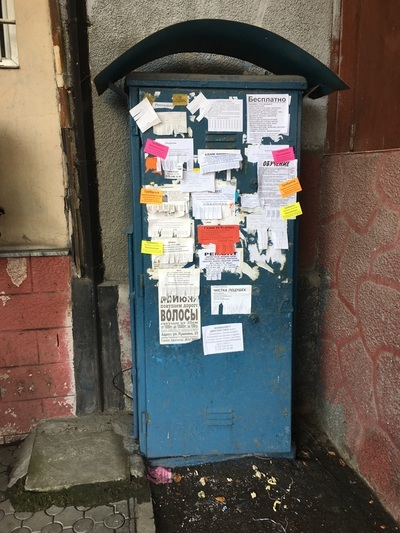 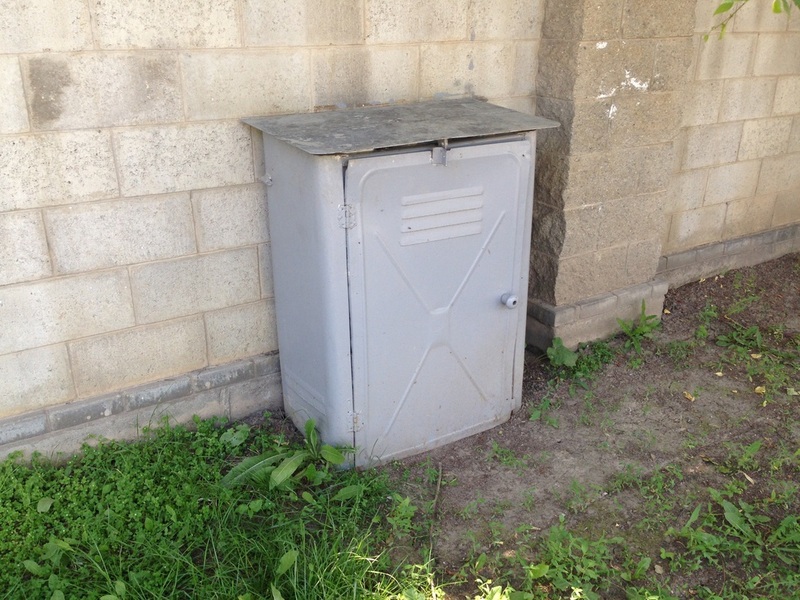 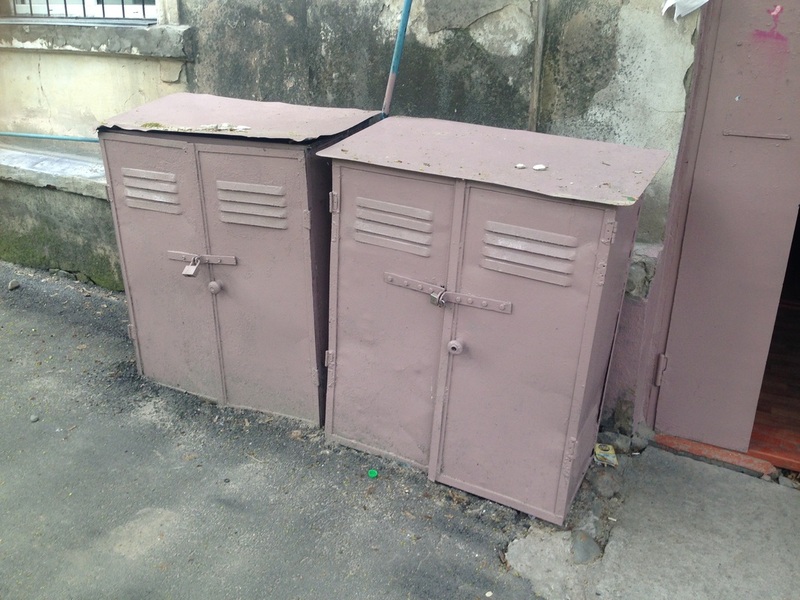 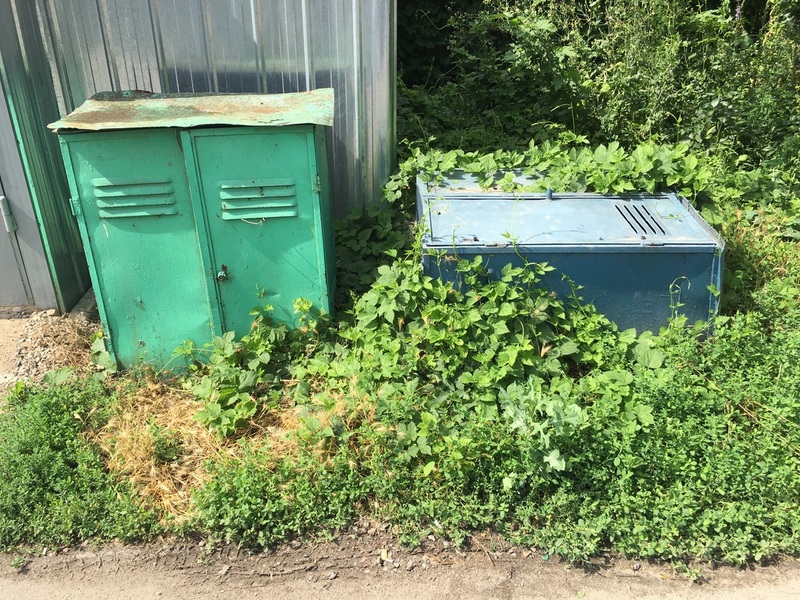 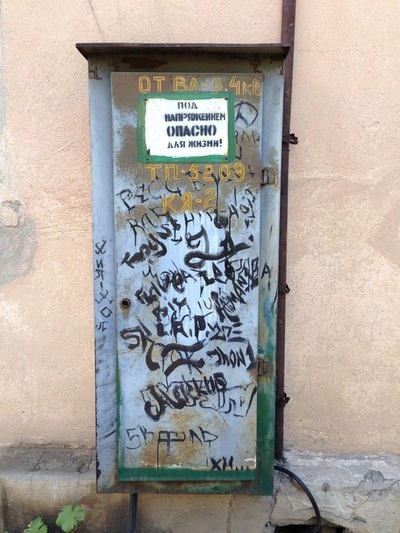 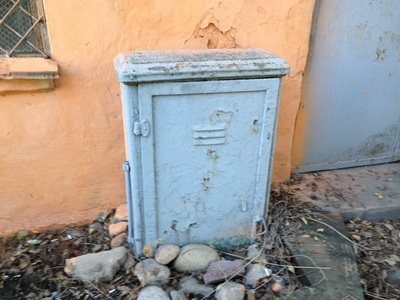 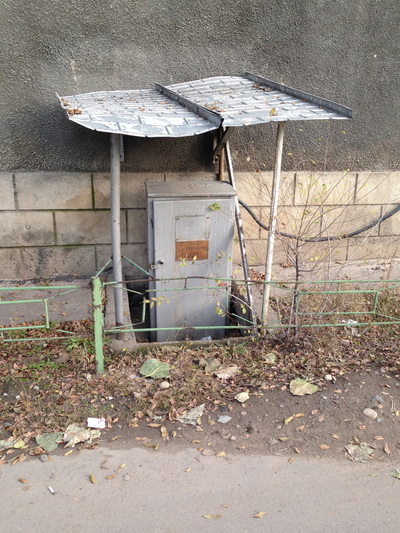 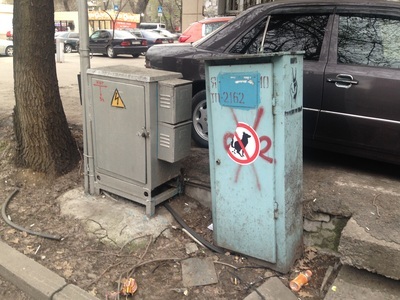 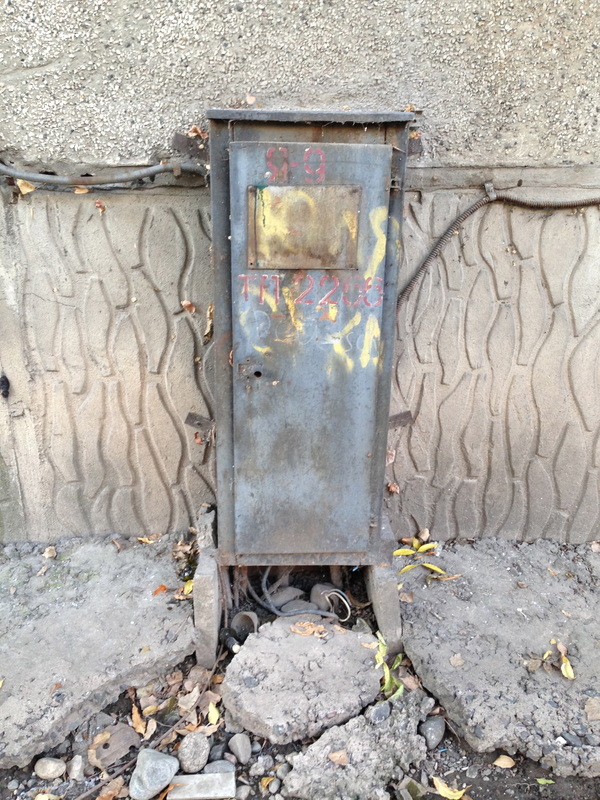 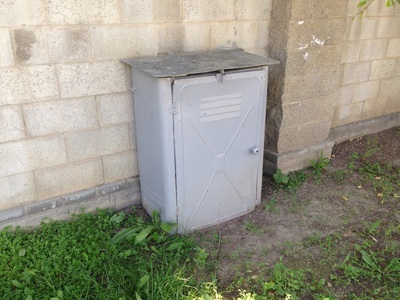 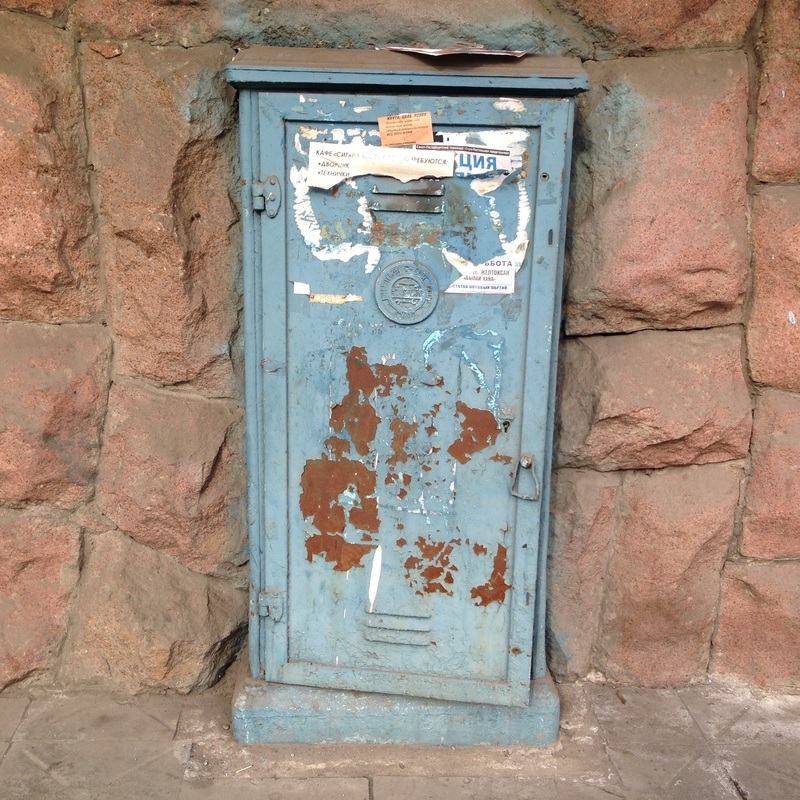 The mystery of utility boxes - "What's going on in there?" 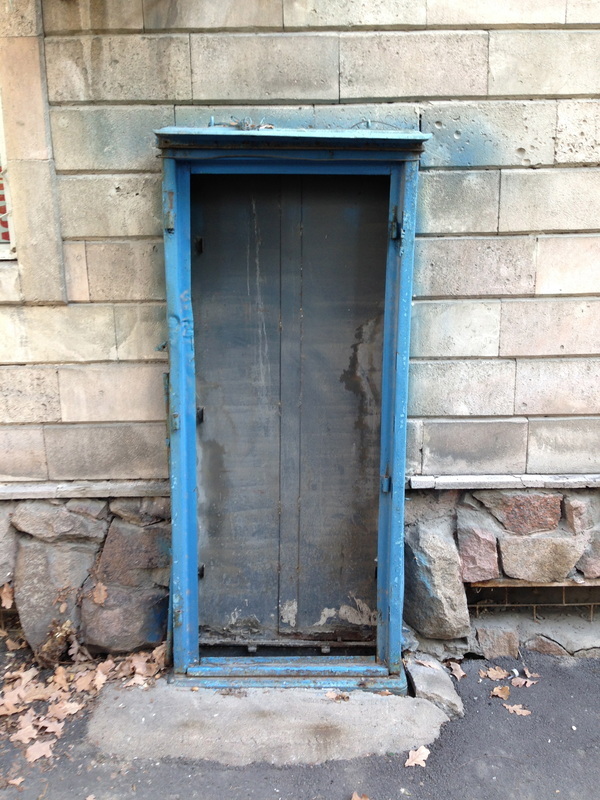 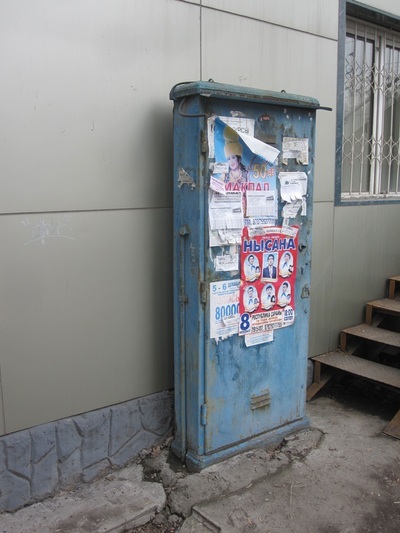 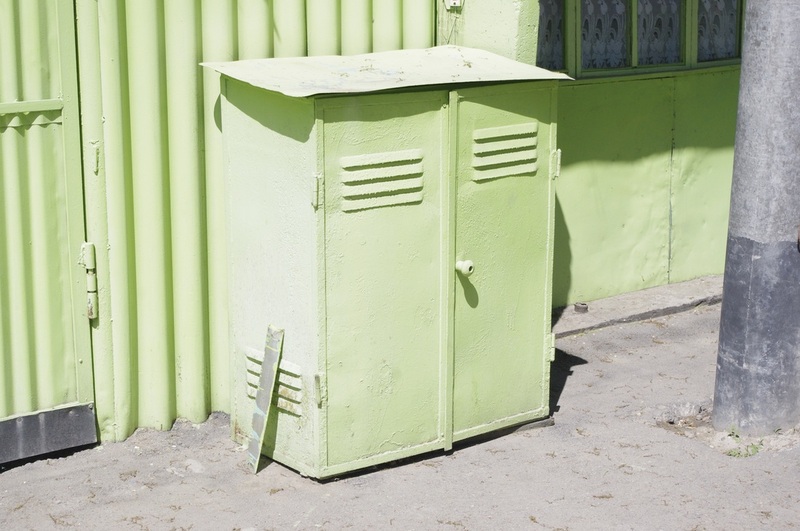 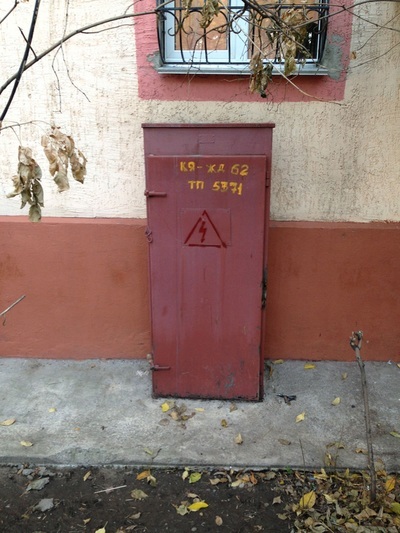 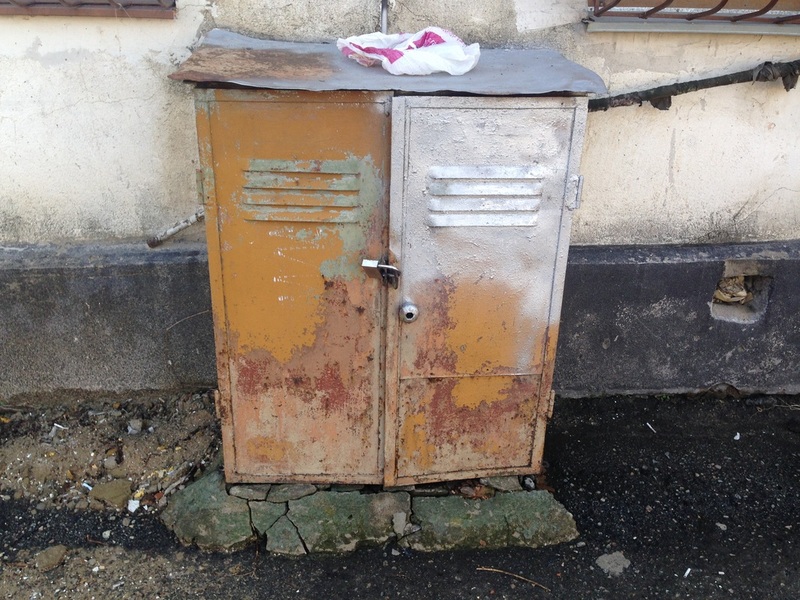 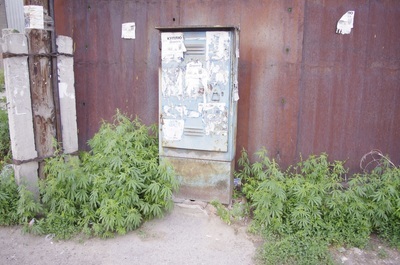 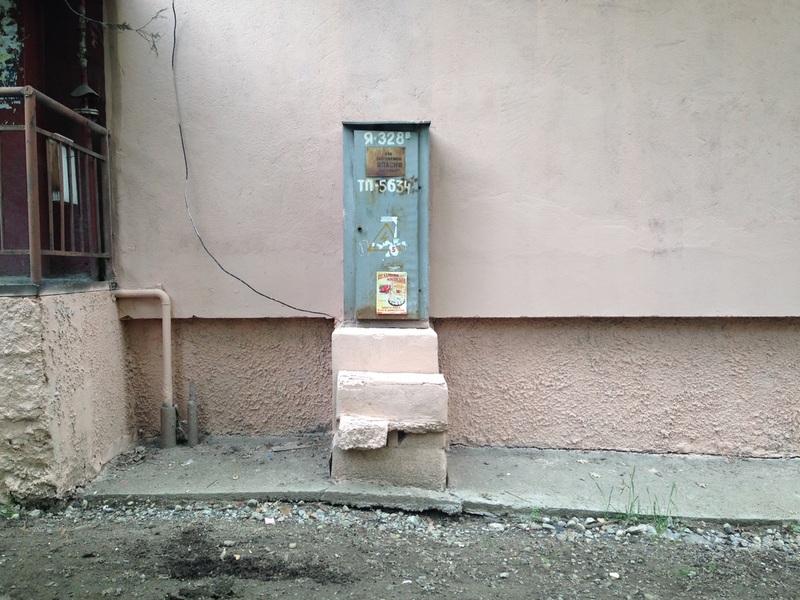 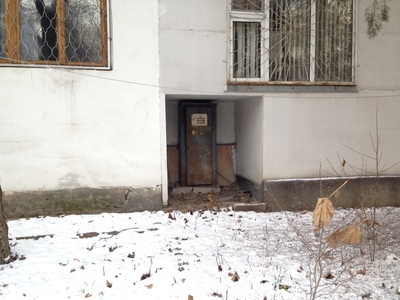 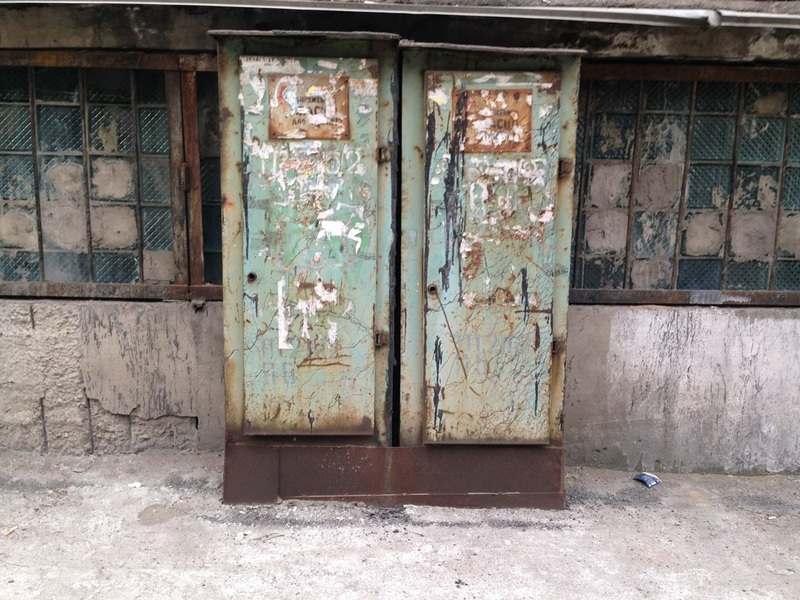 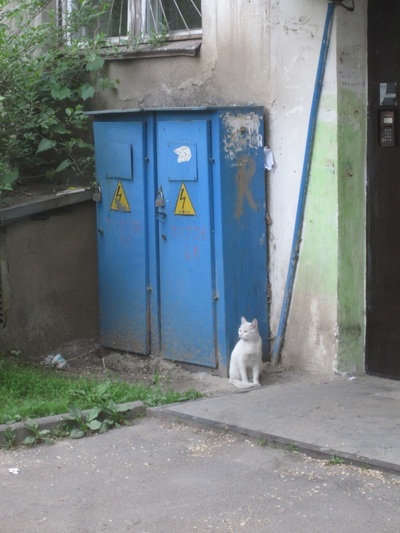 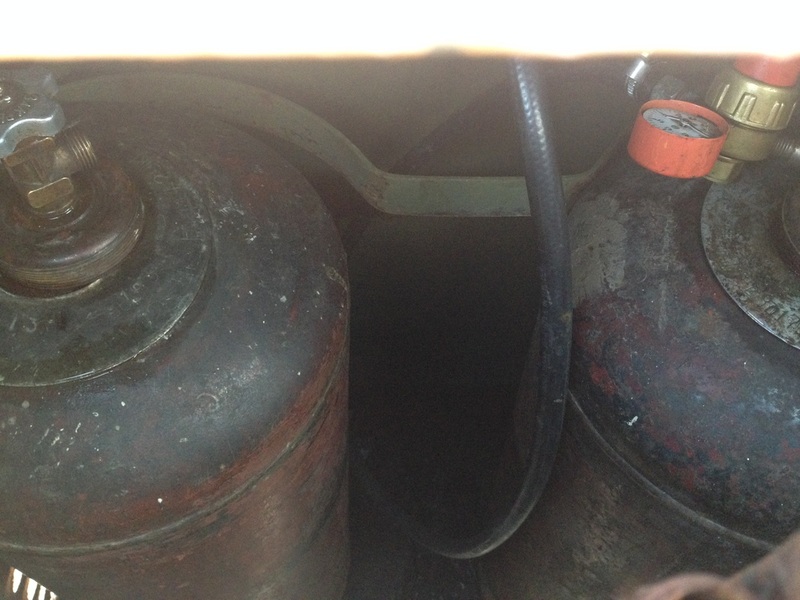 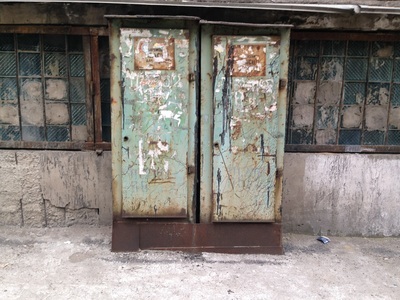 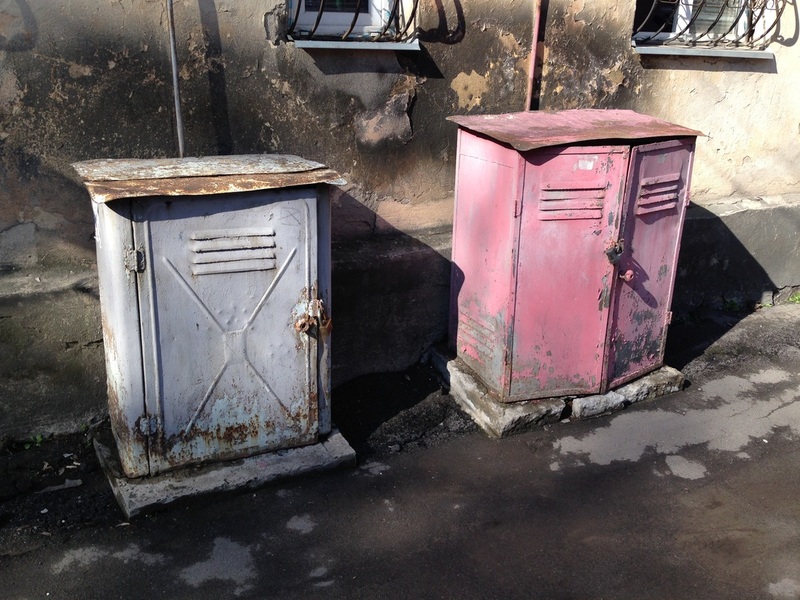 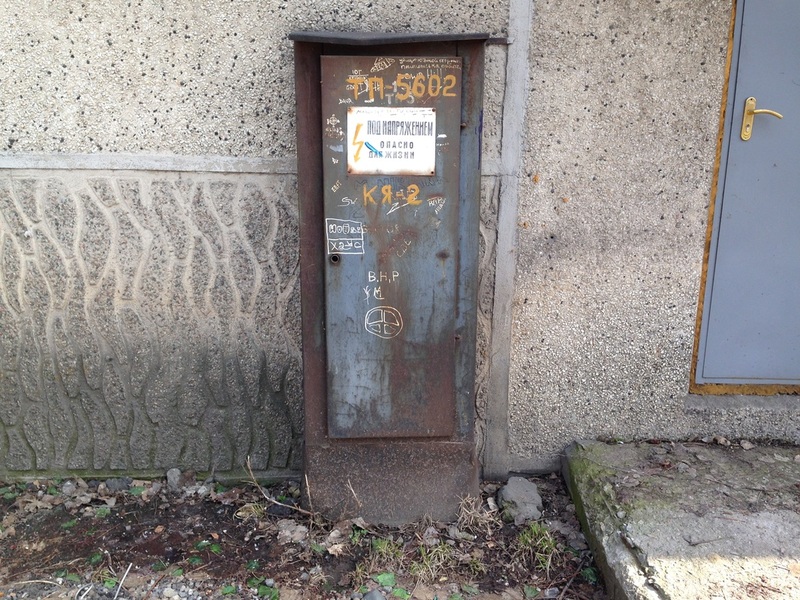 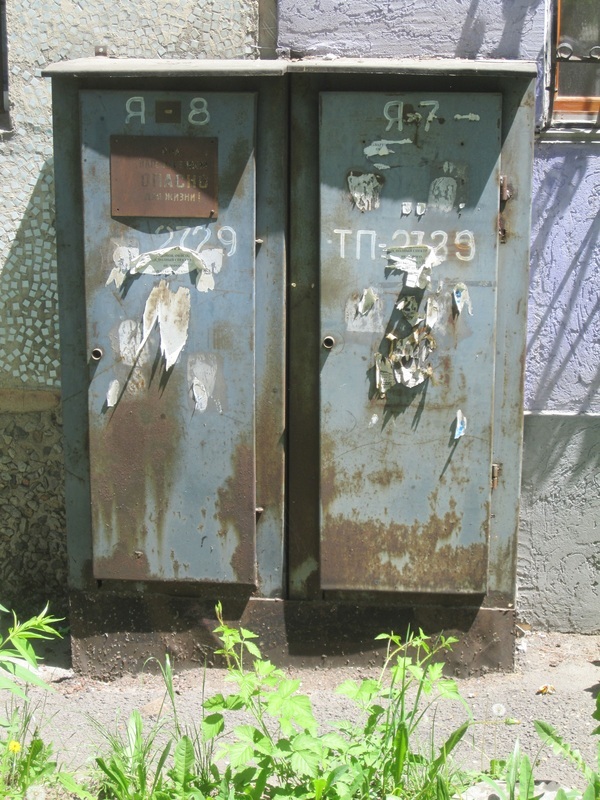 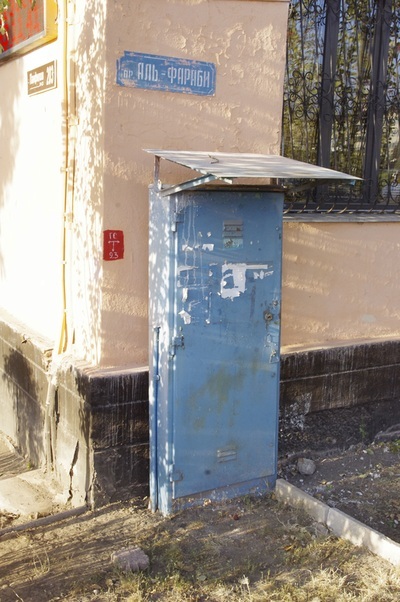 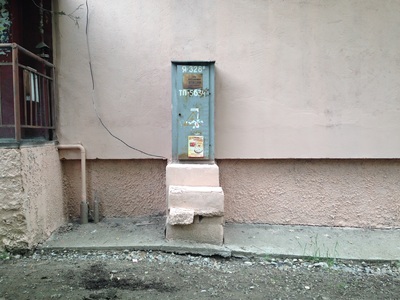 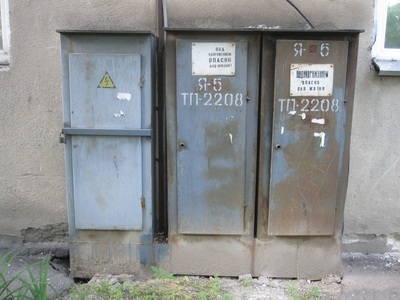 - is what had me looking at these tall metal cabinets, usually found in the courtyards of late-Soviet housing projects. 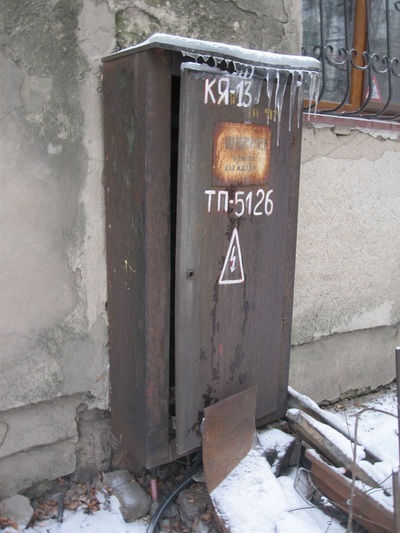 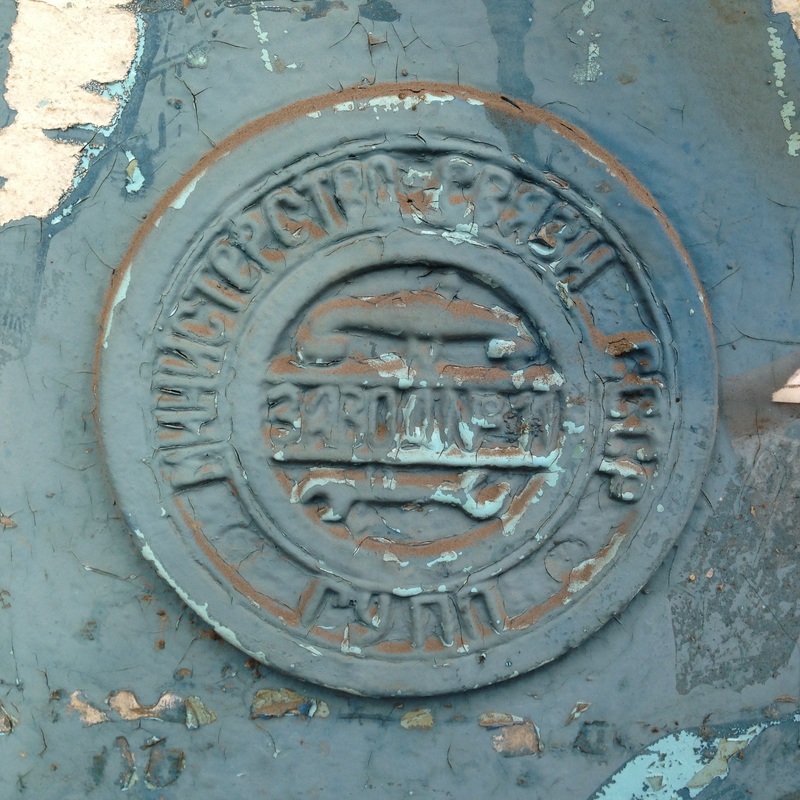 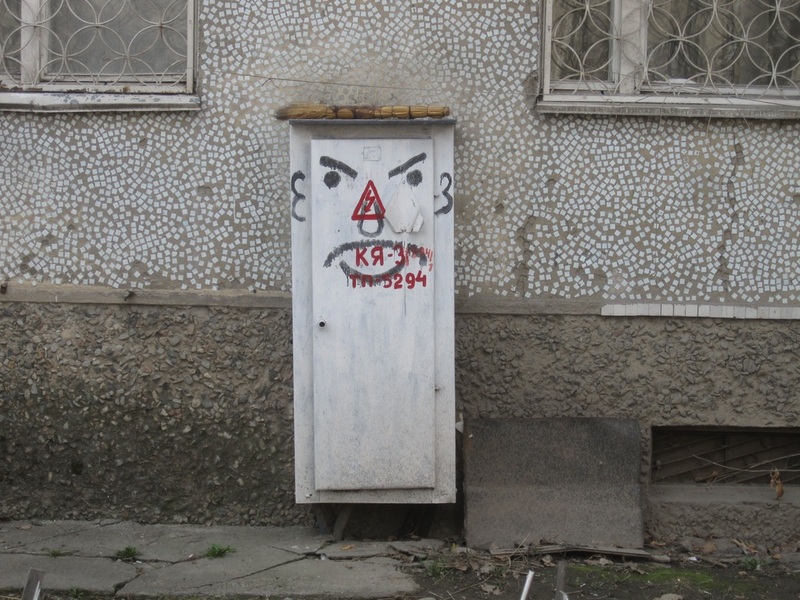 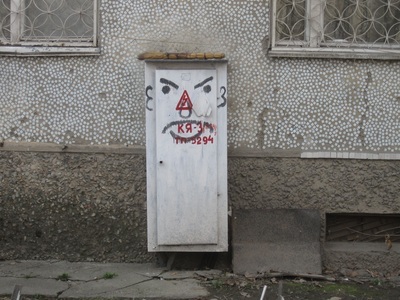 The only clue to their purpose is the spray-painted code you can find on the front, TP [ТП] showing that it was related to the heating system, and KY, for Kabelny Yashik [Кабельный ящик] telling me something I already figured, which is that it's a box with cables inside. It was the old stenciled signs, though, that really got me hooked. 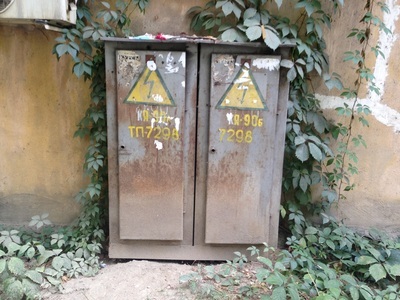 "High Voltage!" they read, if you can read them at all, "Life Threatening!" 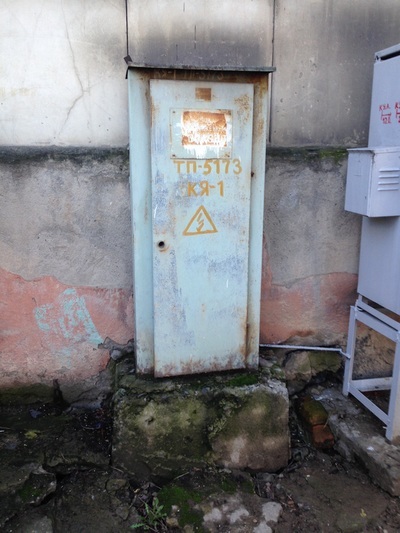 Even the "Danger, Danger!" 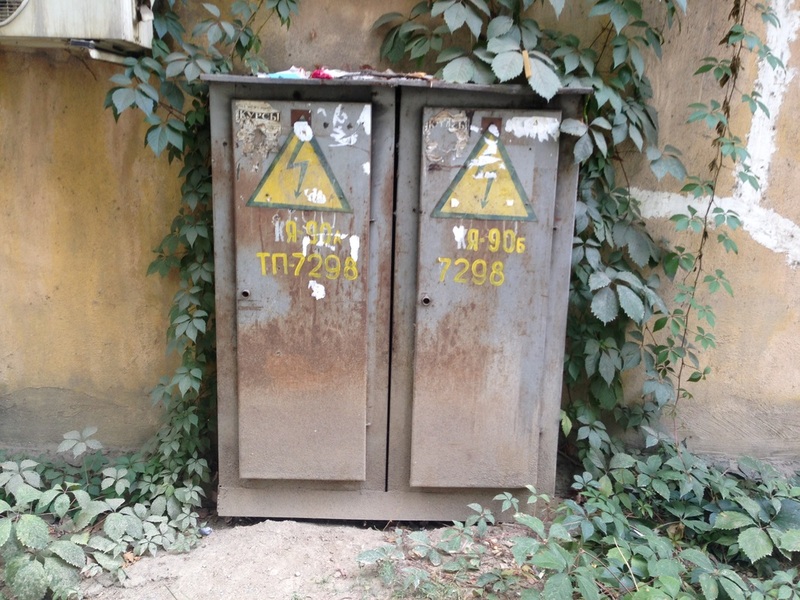 lightning bolts are well designed, as are the humorless fonts. Maybe it's just retromania that causes this inexplicable interest. 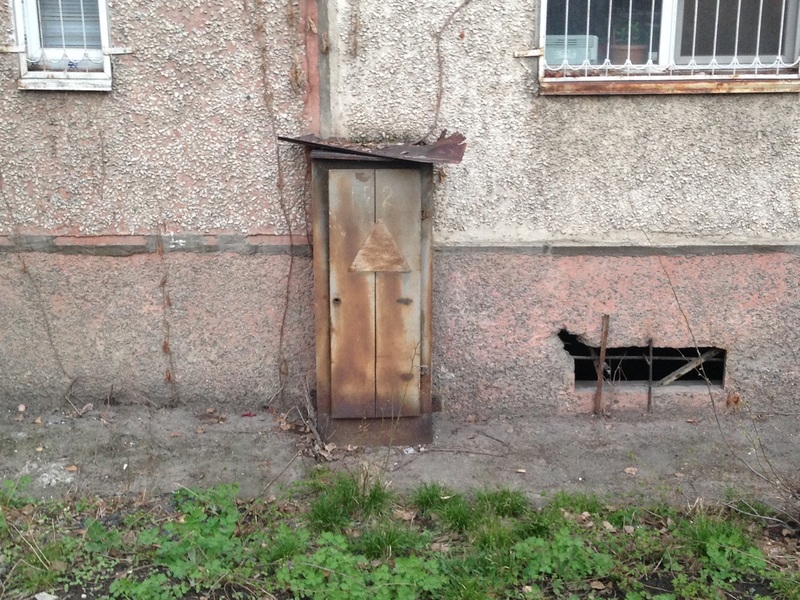 Don't call the doctor, I've accepted my condition. 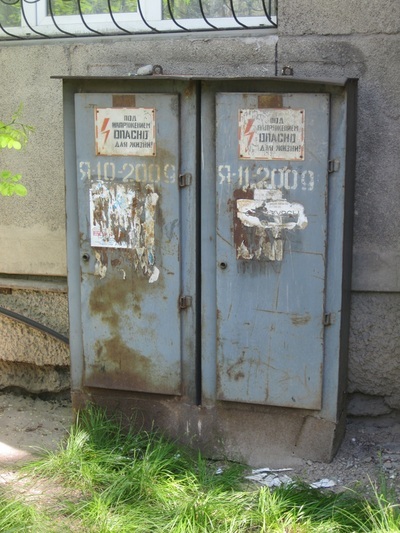 When I start poking around in these things, trying to get a peek inside, then you can haul me away.